“The Bulls of Durham” living history book is launching 919 days after it started on Durham’s EXACT 150th Anniversary, April 10th, 2019 at 9:19 am. The book is a blend of Durham’s history and interviews with over 100 Durhamites who are making Bull City history today. Interviewees range from Mayors to business executives to activists to historians to artists. Many of whom will be in attendance. 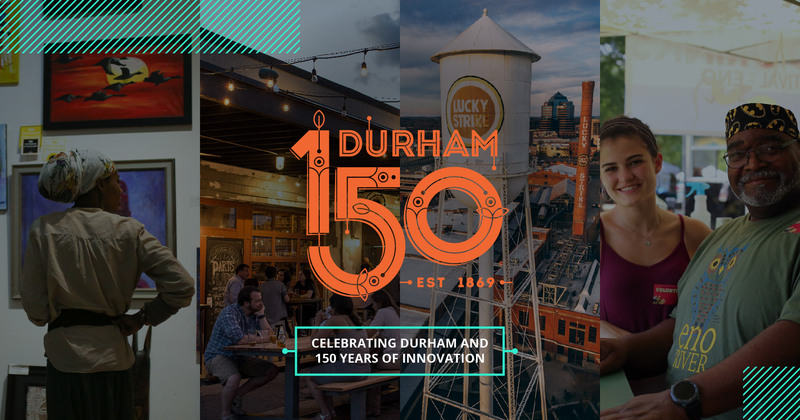 Overview of Event: Wishing Durham a happy 150th, thanking key contributors, the summation of the book with highlights of interesting, never before released historical facts. Tickets are free but must be booked in advance due to space constraints. Use the quantity button to select total number tickets wanted and note MEDIA in the order note section.